Well, not really... but last weekend I brewed twice and decided to use 2 layers of brew bags in my pot. Normally, I just use 2 paint strainer bags in my 10 gallon pot. 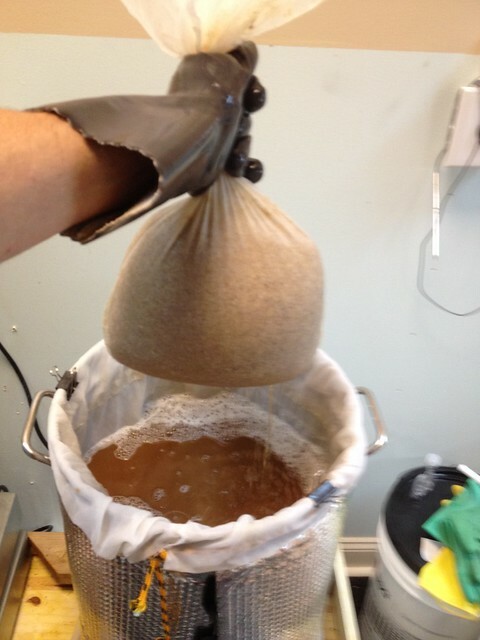 This way, the bags are easier to lift out and to squeeze wort out of. 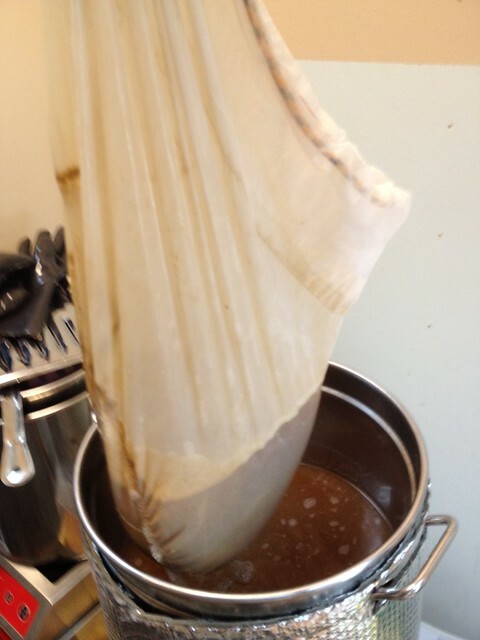 But, with so many in the BIAB community using voile bags, I decided to see how much of my grain was making it out of the paint strainer bags and into the boil. With a voile bag underneath my paint strainers, I would catch all that slipped through the larger openings in the strainer bags. 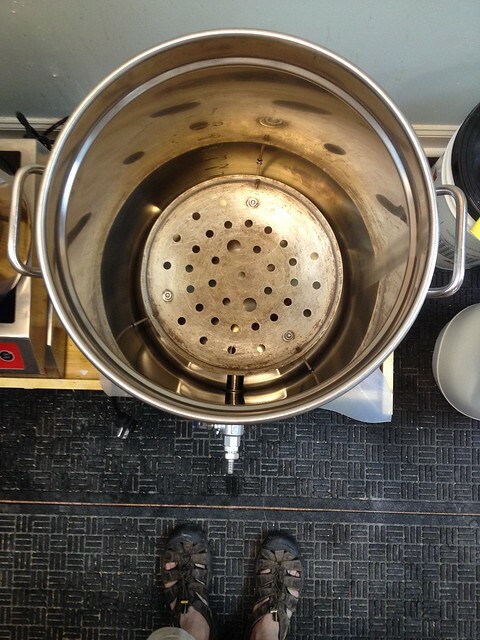 Here is a picture of my kettle. 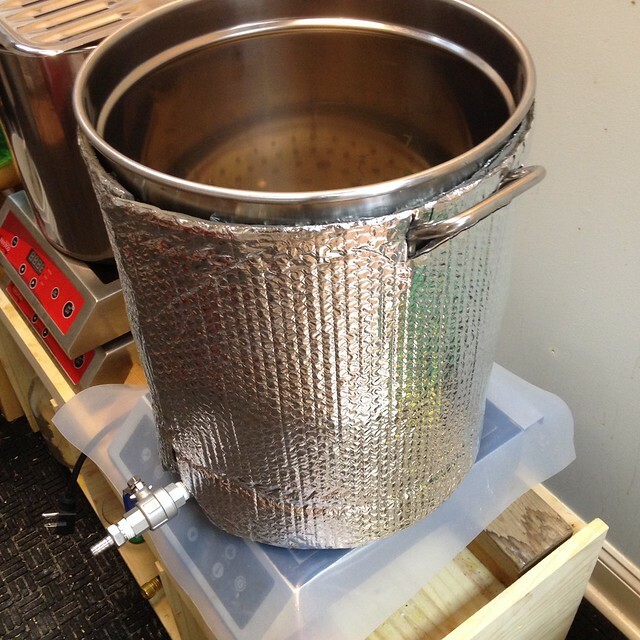 It's a 44 qt Bayou Classic with a layer of reflective insulation around it. I use a 3000W induction heatplate which I love, and have an 18" by 18" sheet of silicone rubber on top to protect from spillage finding its way into the electronics. 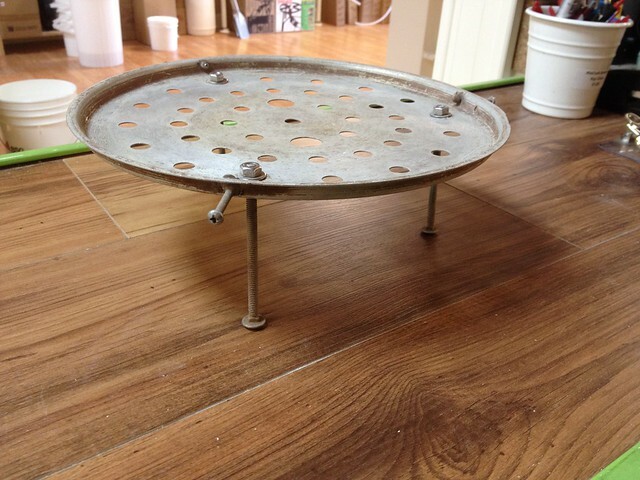 I also have a false bottom of sorts that goes in the bottom. This time, however, before clipping the paint strainer bags, I dropped in a large voile bag that I had used (with considerable pain and suffering) ages ago. 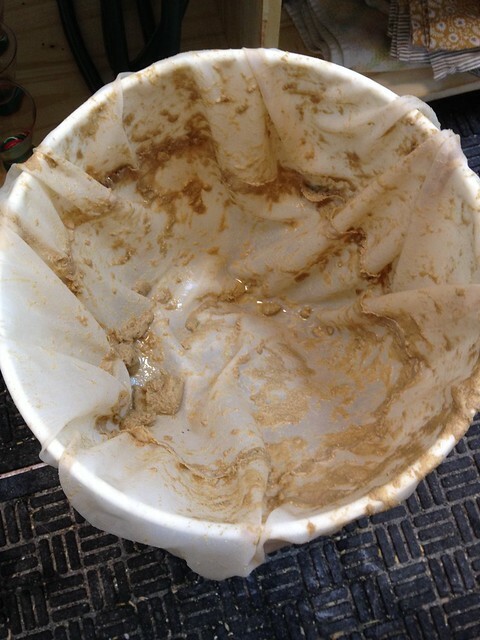 The voile bag would catch anything that made it through the strainer bags. 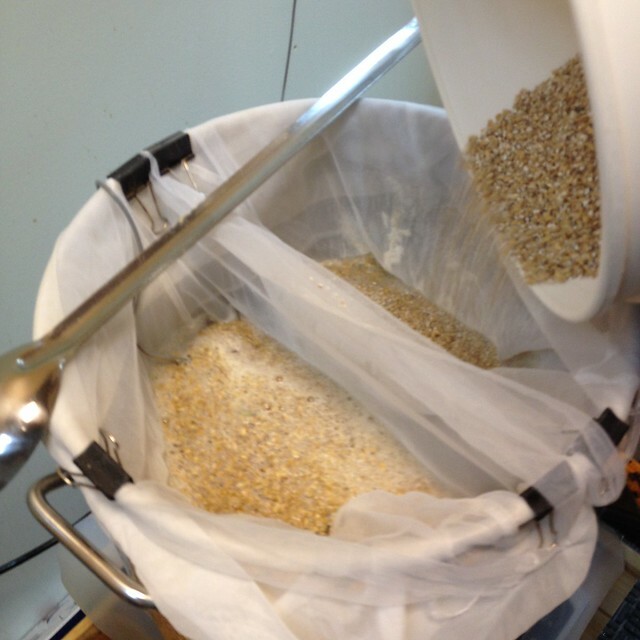 After the mash, I pulled the strainer bags as shown below. I really like the way they drain so quickly. After squeezing them for all they're worth, I pulled out the voile bag. Then I draped it over a 5 gallon bucket to see what it caught. Maybe not all that much, but it certainly did help. I am currently having a local seamstress make me 2 voile bags that are the same size as my paint strainers. I've asked to have them a bit larger around the bottom so the grains have room to "swim" a bit. I may try this experiment again once I have the voile bags just to see if anything gets through the smaller bags and is caught by they larger one. You'd think not, but we'll see. By the way, I usually hit my gravities right on with BeerSmith set to 75% efficiency. I'm not sure how some of the guys on forums are getting 80% or more.